Bernina | It's Sew Anny! Buddy’s favorite bear had a hole and he offered to help me at the Bernina Hospital. Kate spots a squirrel at the Dog Park. Well it seems Ann Romney wasn’t the only one rockin’ leather this week. The most beautiful leather (okay, faux leather) fabric has been rolled up in my sewing space just beckoning to me for months. I’ll admit I was intimidated , not having sewn with that thickness before but my Bernina (Betsy) was up to the challenge, especially when I put her Teflon shoe on. She felt so special. She and I gained enough confidence to not only sew with the leather but installed a zipper! 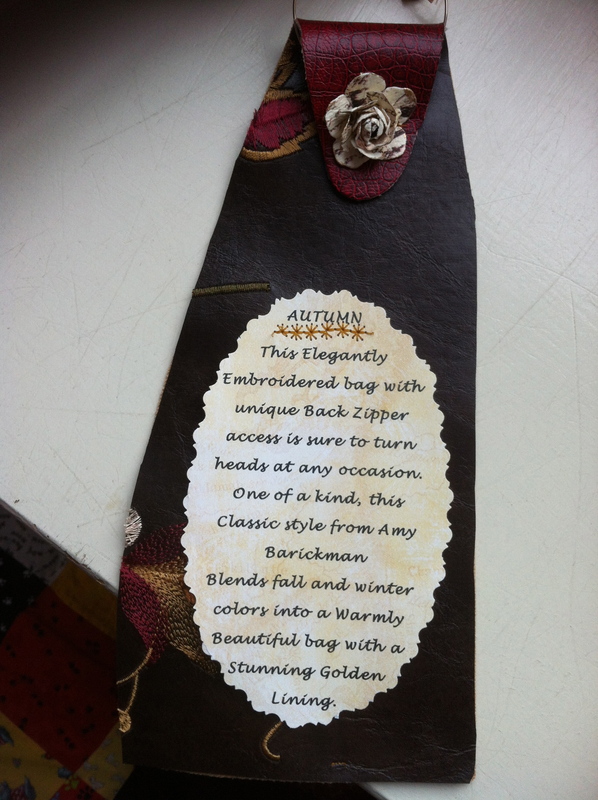 Amy Barickman has a sensational book called Bag Boutique with several awesome patterns. 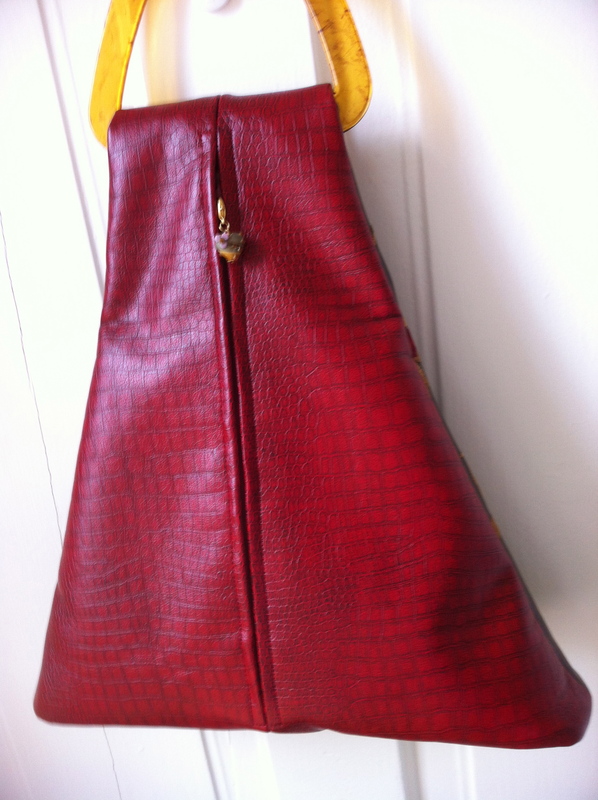 The one I used for my “leather” bag is called the Rachel Bag. 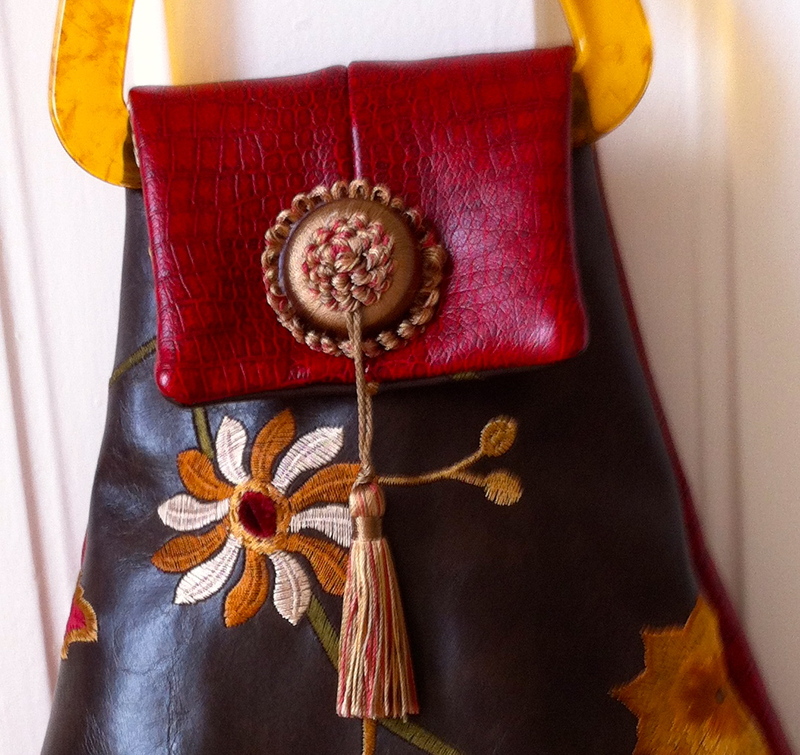 I decided to use both “leathers,” the front being a red and gold floral design richly embroidered on a deep chocolate brown, and the back is a crackled deep red. Needless to say, texture had quite an impact on this bag. 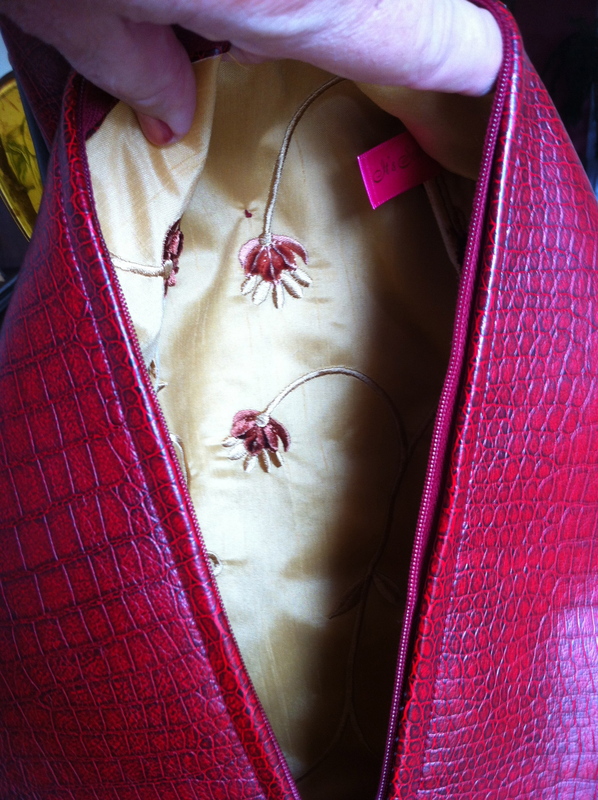 (See photos) The lining is a silky golden with more red floral embroidery. The zipper was a WHOLE lot easier to install than I thought it would be and I had a pretty textured ceramic heart for a zipper pull that I believe I found at Anthropologie in NYC. The narrow top is guided through a closed loop handle and I was able to stitch the tassel by hand all the way through the layers. So today it was all ready to turn in except for a tag and I had an idea. I printed out the text on rustic scrapbook paper then machine sewed it to leftover leather that I cut into the same shape as the bag. Voila!